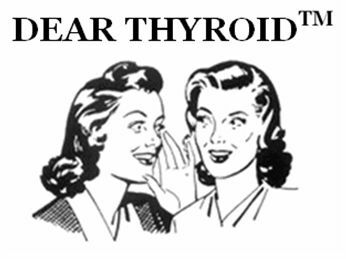 Do you love your thyroid? Do you hate it? Or more importantly, do you even know where it is? A small, butterfly-shaped gland located at the base of the neck (just below the Adam’s apple), the thyroid influences the function of the heart, brain, liver, kidneys and skin. That’s why it’s so important to know if you have a thyroid problem – especially if you’re a woman. Women are five times more likely than men to suffer from hypothyroidism, which occurs when the gland does not produce enough thyroid hormone for the body to function properly. Hypothyroidism can cause weight gain, miscarriages, forgetfulness, irregular menstrual periods and numerous other symptoms. Another source of relief comes from finding people who truly understand what you’re going through – namely, other patients like you. Connect with the more than 3,500 patients with hypothyroidism at PatientsLikeMe today and see how they are managing their condition. How many of them are taking Levothyroxine (branded as Synthroid, Levoxyl, Levothroid and more), a synthetic form of the human hormone thyroxine? And how do they rate the effectiveness, side effects, cost and more? Dig into our in-depth treatment evaluations to learn from real-world patient experiences with this common hypothyroidism medication.